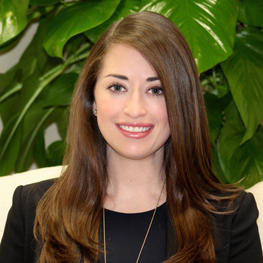 Charlotte Discon joined her father, Thomas Discon, and uncle, Scott Discon, as an attorney at Discon Law Firm in 2014. Charlotte focuses her practice on Maritime claims, such as those that fall under the Jones Act, but also handles other personal injury claims, including auto/trucking accident claims, Workers’ Compensation claims, and Longshoreman claims. Charlotte was admitted to practice law in 2014. She is admitted to practice in Louisiana State Courts, the U.S. District Court Eastern District of Louisiana, the U.S. District Court Middle District of Louisiana, the U.S. District Court Western District of Louisiana, the U.S. Fifth Circuit Court of Appeals, and the U.S. Supreme Court. You can contact Charlotte Discon by calling 985-674-9748 or 1-800-690-6435 for a free consultation, or through e-mail at cdiscon@disconlawfirm.com.